Kvichak River Cable Crossing - Global Diving & Salvage, Inc. 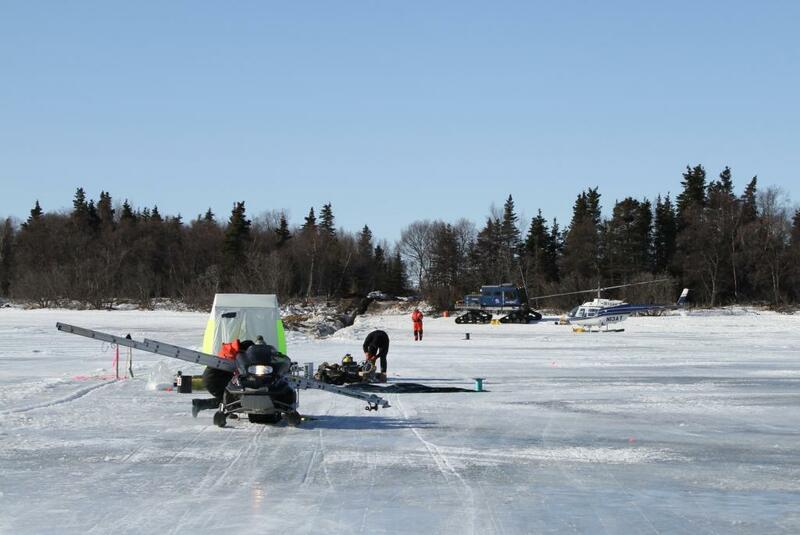 Global provided a four-man dive team to assist Ledcor Technologies Services in pulling a messenger line under the ice across the Kvichak River, in Igiugig AK. 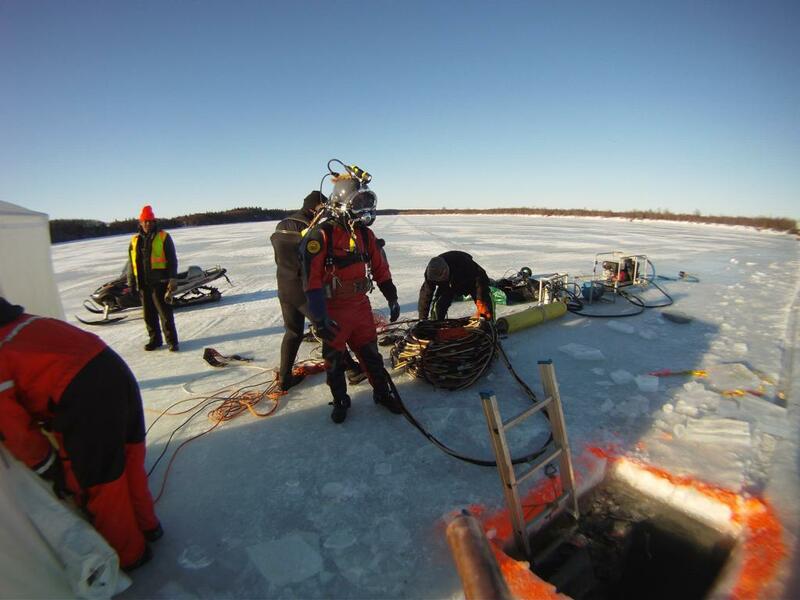 Holes were cut in the ice across the river and strobe lights were inserted into holes marking the cable path for the diver. 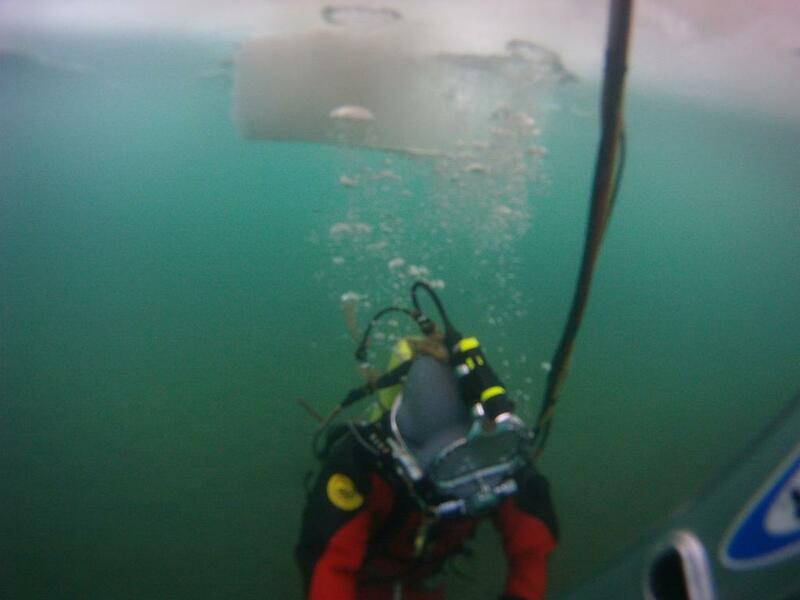 Once the cable pull was made, the diver completed a video inspection of the cable. The location of the project was in a very remote area of Alaska. Equipment and personnel were brought onto the site via helicopter from a camp in Igiugig, 30 miles away.